Samsung itself released a nice app for US, European and Korean market names S Health, which can connect your Galaxy S III to various weight, blood pressure or glucose monitors to present a health profile over a period of time that can be viewed or shared via SNS services. This app is great for health care patients and doctors to track historic wellness profiles. You can able to set certain wellness goals and track the progress towards them. It can track calories consumed as well as workouts, to enable users to track their caloric intake and follow and exercise plan. 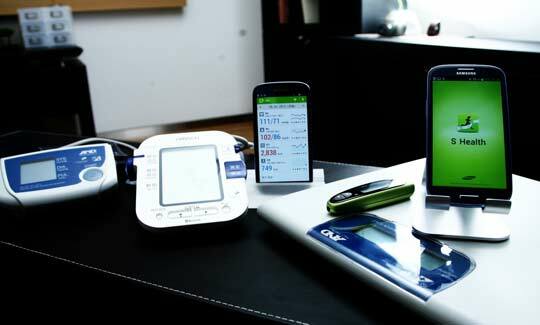 Blood pressure and glucose monitors maker like Lifescan, A&D and Omron will be able to sync to the S III via Bluetooth or USB. S Health is currently available via Samsung App Store.